Updated corner unit only 15 minutes to Downtown! This 2 bedroom, 1 bathroom light-filled condo features new laminate floors in all of the living areas. 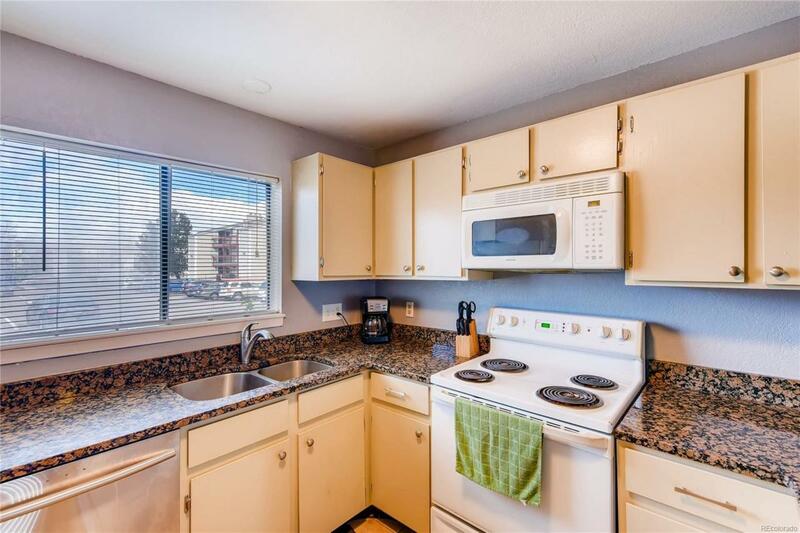 Spacious kitchen features granite countertops and newer appliances. Enjoy the home's wood-burning fireplace in the bright living room. Oversized master bedroom with large walk-in closet and large wall closet has enough space for your wardrobe-- with space left over to store all of your seasonal items. Master enjoys jack-and-jill access to the bathroom. Numerous closets and built-ins provide the storage space that you would expect in a home twice this size. In unit washer/dryer connection, new lighting throughout, and other mechanical upgrades make this home worry free. Centrally located with easy access to I-25 and Hwy 36 make a commute to Denver or Boulder simple.